The APC is an initiative to encourage businesses to think about the packaging that they use and its effects on the environment. Signatories set goals for improvements to their effective use of sustainable packaging, its recycling and its design to leave the smallest carbon foot print possible. All of Profile’s packaging and products are made from fully recyclable materials. Whilst most of our products are made from new virgin material, they could in theory be made from 100% recycled materials too without loss of strength or functionality. At Profile we recycle 100% of our waste and either use the material for non-food items or we resell it to other plastic manufacturing companies. We also recycle other businesses plastic waste into reusable material and are looking for new opportunities in the area of recycling. Does your business have plastic waste that needs recycling? 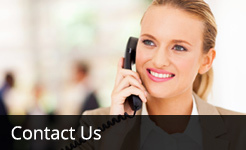 Contact us to discuss your needs. The packaging that we manufacture at Profile has been designed with the environment in mind. Care is given to the balance between functionality, strength, practicality and transport. Most of our products are packaged in a way to fit a standard size pallet to utilise transport. The cartons that we package our smaller products in fit on a standard sized pallet and are fully recyclable. 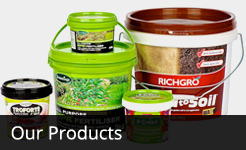 Metal pails have been the standard packaging for paint for many years. Recently there has been a trend away from metal and businesses are changing to plastic where their products allow. The mining of ore, processing, manufacturing and recycling of metal can have a larger impact on the environment compared to the same processes with plastic. The cost factor is also an important part of why this change is happening too. The cost of a metal pail compared to a plastic pail can be as much as 4 times higher. There are also a myriad of applications for plastic products as a substitute for metal in mining, construction and industrial environments. We can help your business develop a product from concept to production to suit your needs. Please contact us for more information.